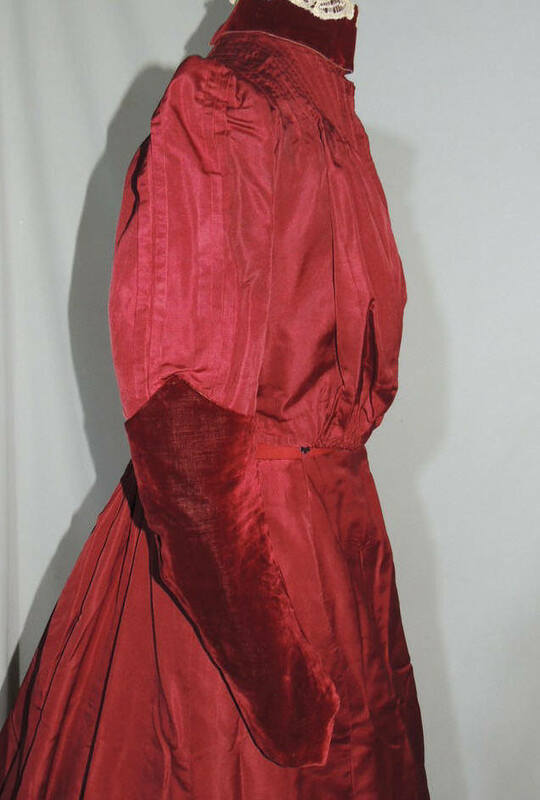 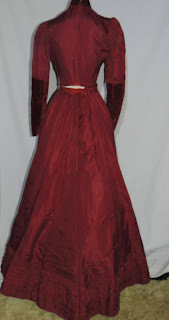 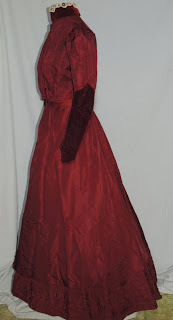 This lovely Victorian ca 1880 - 90's dress is made from a dark red silk faille. 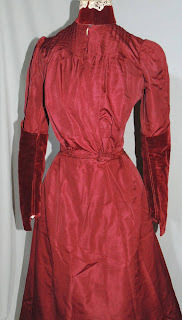 The bodice has a velvet collar trimmed with lace and velvet on the sleeves. It's lined in brown cotton and has bones in the seams. 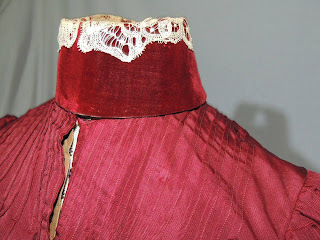 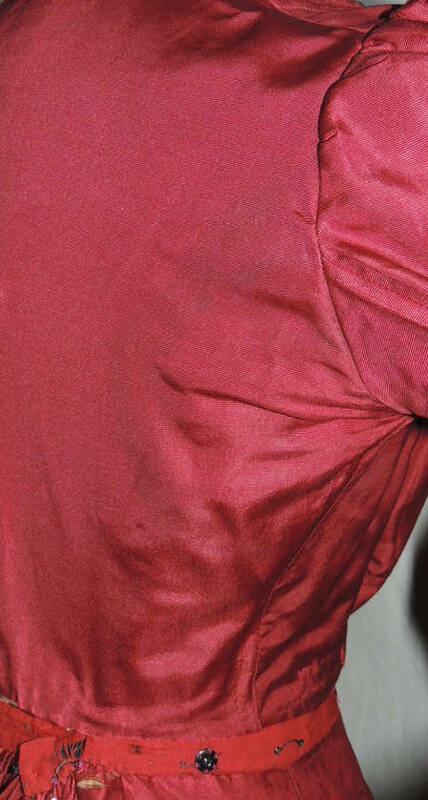 There's tiny tucks around the neck and wider tucks down the top of the sleeve, the sleeves were let out and it has a very light water type stain on the back shoulder by the armhole seam, also a mend in the gathers in the center front waist. It measures 33 inches around the bust, waist is 23, across the back shoulder is 11 1/2 inches and it's 17 inches long from shoulder to longest point in front. 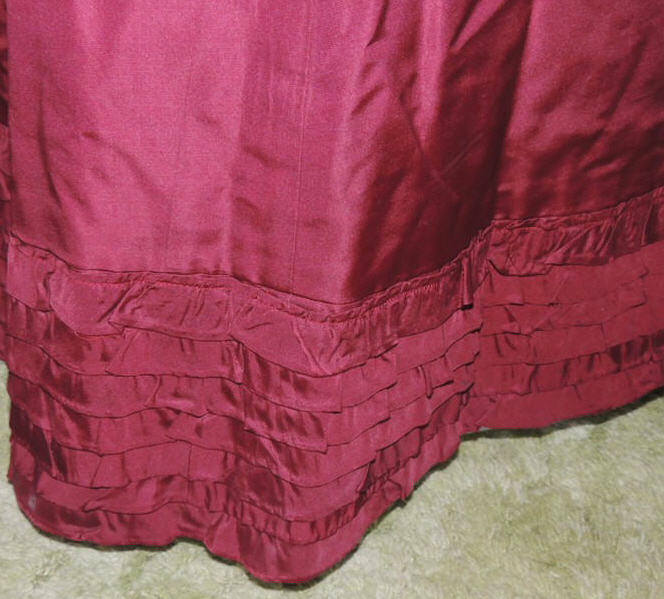 The skirt has 8 narrow rows of ruffles around the bottom, it's lined in cotton with a stiff facing around the bottom. The waistband and placket are a red cotton, waistband has some wear and the silk right under the waistband has some wear/fraying, it should be removed and taken up about 1/2 inch to fix up the waistline, the skirt has a couple of pin head holes. 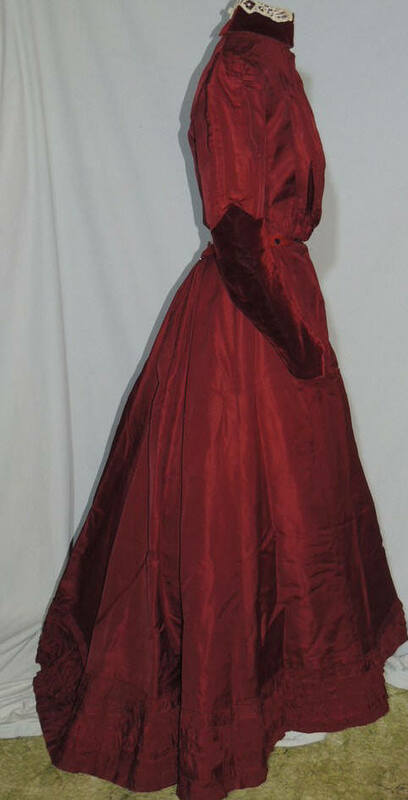 It measures 25 inches, hips are full and it's 40 inches long in front,dipping to a train in back. Very good condition, easy restore. 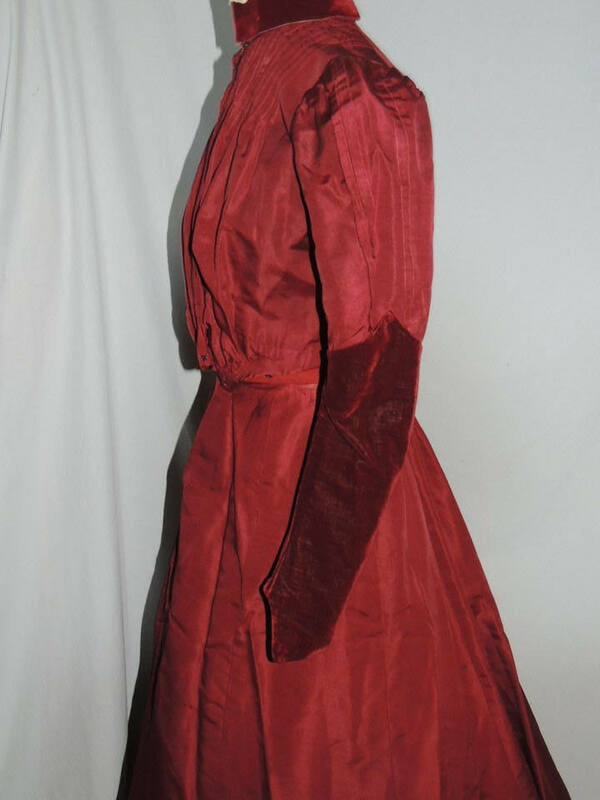 I get why the seller thinks this might be from the 1890's, however, the giveaway is the pigeon front. This is most likely from about 1902.